What is a Meet Me Room? Home | Connectivity | What is a Meet Me Room? Some data centers feature a Meet-Me Room (MMR), which provides an opportunity for communications firms to exchange data with hundreds of other major telecom carriers and Internet service providers (ISP) housed within the same facility. There are two types of facilities that are used for network to network interconnections and their ambiguity is often used interchangeably. The MMR is typically a small space, approximately 5,000 square feet, located in a major carrier hotel. For spaces larger than a MMR, carrier-neutral data center can be a stand-alone building, detached from carrier hotels. Even though terms are quite vague, there remain key differences when examining the two categories of interconnection requirements. These rooms are gateways to the Internet and allow quick, reliable, and cost-effective connections between the buildings tenants. Telecommunications organizations and providers are able to connect to each other and peer, or exchange information, without incurring local loop fees. 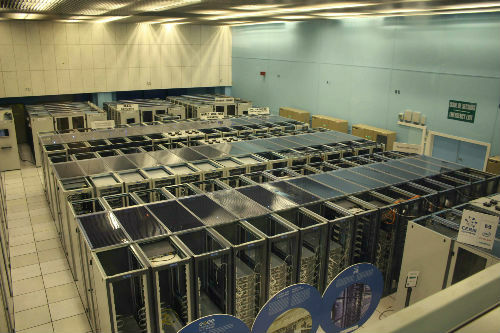 MMRs are filled with cages and cabinets containing servers and switches linked by thousands of cable connections. These physical connections are what allow the world’s information to be transmitted to individual computers. Without peering, individuals would only be able to link to sites hosted by their own ISP. These Meet-Me Rooms are located inside data centers or carrier hotels. They are a small, yet integral part of the structure. In these spaces, telecommunication companies can install network equipment, facilitate network connections and take advantage of cost efficient solutions for back-up power and security. MPOE—main point of entry — Short for minimum point of entry, the closest practical point to where the cables of a telecommunications service carrier (i.e., a phone or cable company) cross a property line or where its wiring enters a multi-unit building. The MPOE of a multi-unit building is typically 12 inches inside the building’s foundation. DMARC—demarcation point — a way to make it easier for email senders and receivers to determine whether or not a given message is legitimately from the sender, and what to do if it isn’t. This makes it easier to identify spam and phishing messages, and keep them out of peoples’ inboxes. Tenants and users often include ISPs (Internet service providers), exchange companies (local), cable companies and e-commerce companies. Since the Meet-Me Room can distribute traffic at a low cost, large, high-bandwidth users such as hospitals and universities can benefit. Ownership: The stand-alone, carrier-neutral data center can be privately owned or leased for 15-30 years by the operator. Another option is to be a tenant in a larger carrier hotel on a 5 year lease. Operated by building management, Meet-Me Rooms are never stand-alone facilities. Found in carrier hotels, they are normally directly under a management contract with another firm. Size: Meet-Me Rooms tend to be smaller because originally, fibers would be run from a tenants suite to patch panels in an MMR to be interconnected, which requires little space. 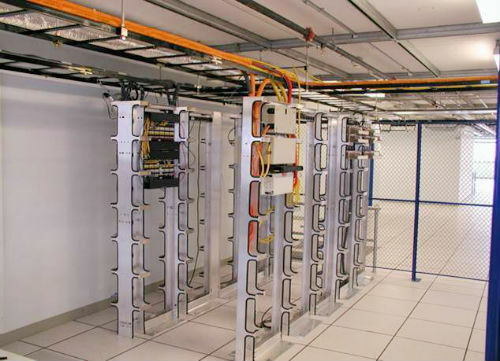 With time, these rooms have grown in size and are starting to resemble data centers, including features such as cages. Customer: Mix Clients of MMR’s are the operators of large networks, such as RBOCs and major content providers. Carrier-neutral clients include operators of large networks and also enterprise customers and smaller network operators. Service Offerings: MMR service offers the basics, typically providing a remote hand. They also maintain power, cooling and cross-connects. Carrier-neutral data centers offer the basics, but also extra amenities such as managed servers/hosting. 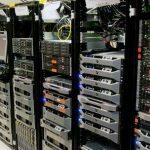 The larger data centers will try to keep sales at a minimum of 5-10 racks per client, while MMR’s sell half racks or quarter racks (in addition to full racks), because of their smaller space. Interconnection: Meet-Me Rooms have a primary purpose, to interconnect tenants. Carrier-neutral centers however, are rich in interconnection. MMRs allow any tenant of the building to interconnect, even if they have not leased cabinets inside the MMR. This is beneficial for clients who only need to make a small number of interconnections. On the other hand, carrier-neutral data centers often reserve the right to allow only tenants of the data center itself to interconnect. Since most of these centers are stand alone buildings, this form of interconnection is accepted. The MMR in Los Angeles’s One Wilshire building is one of the most interconnected places in the world. As the main connection point for the western United States, it’s home to over 260 network service providers. 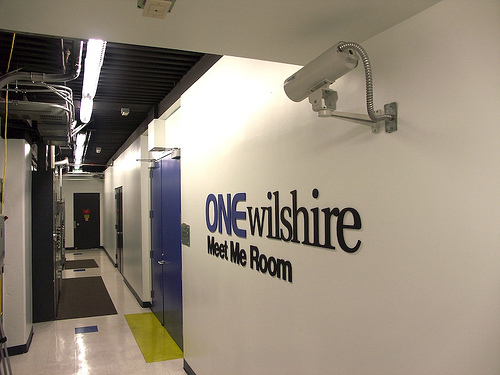 The One Wilshire Meet Me Room has the back-up and cooling power to ensure redundancy. A benefit of being a customer in One Wilshire’s MMR is that one can bring their own fiber into the building or they can simply cross connect to the fiber of the other customers. The provides a very unique and unreplicated opportunity for communication between not only One Wilshire’s tenants, but with companies and individuals around the world. With that kind of communication, one can interconnect to nearly all the major carriers and service providers. And since One Wilshire’s MMR is one of the most advanced in the world, they are constantly updating their infrastructure to stay ahead. For more information and some beautiful pictures check out The Center for Land Use Interpretation’s newsletter on the One Wilshire Building and MMR.